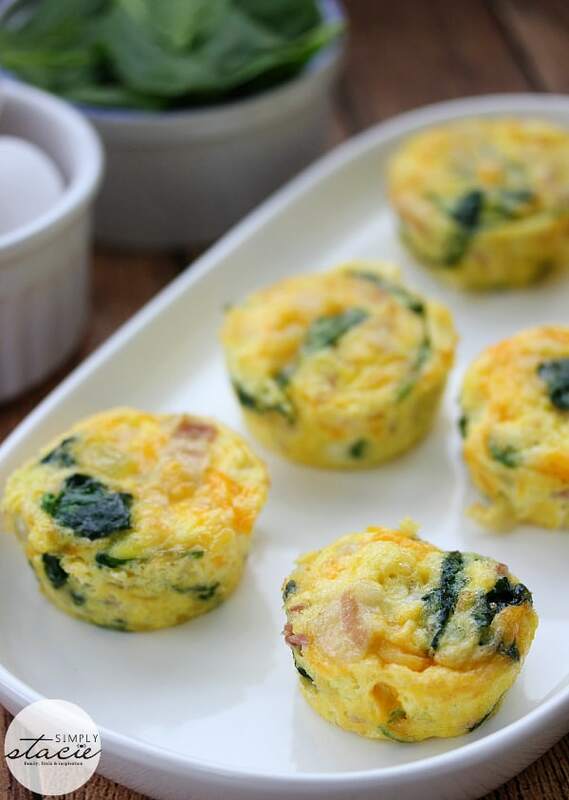 These Spinach & Cheese Egg Muffins are a mini frittata made with bacon, onions, cheese and spinach. Always a breakfast fave! When I was following a low carb diet, I ate a lot of eggs. In fact, one of my favourite meals was a simple egg and bacon frittata. Not only was it easy to make, but it was filling and so good. I never felt like I was eating “diet food”. It almost feels too good to be true. Like how can I lose weight eating such yummy food. Yet, it happens! This week, I decided to make frittatas, but on a smaller scale. 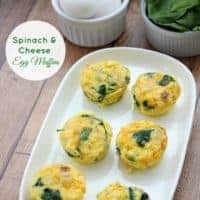 I whipped up a batch of these Spinach & Cheese Egg Muffins for breakfast and they were amazing! They had all my frittata favourites like bacon, onion and cheese and I added in some spinach for an extra kick of colour (and iron). I used fresh baby spinach, but you could also use frozen spinach if you like. Just make sure you squeeze out all the extra water before mixing it in. If you wanted it to be a vegetarian recipe, leave out the bacon, but remember to add some oil or butter to the onions when you fry them up. The sky is the limit when creating unique ways to make egg muffins. You can pretty much use any ingredient you like. I’ve made them a bunch of different ways depending on what I had in the house. 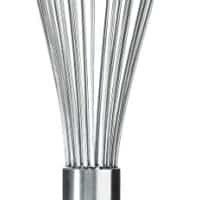 These kitchen tools will help you prepare this recipe. Looking for more egg recipes for breakfast? Check out these delicious recipes. Scrambled Egg Casserole: A delicious twist on scrambled eggs! Serve as a holiday breakfast or brunch. Spicy Egg Muffins: Prepare for a flavour explosion! This bite-sized breakfast packs a spicy punch and is super easy to whip up. Chicken and Egg Ramekins: A brunch recipe your family will love! Chicken, eggs, cheese and fresh basil are baked to perfection in a ramekin. Oven Scrambled Eggs: Got guests? Here is your perfect breakfast. 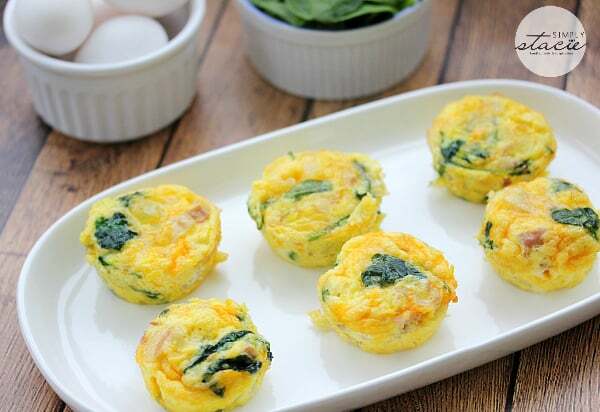 What are your favourite ingredients for egg muffins? A mini frittata made with bacon, onions, cheese and spinach. Always a breakfast fave! I must try these! Love the addition of bacon……yummy! 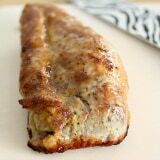 This looks so delicious, what a great quick and easy go to for a delicious breakfast, and a beautiful presentation as well! Looks so yummy! I love spinach + cheese! I will try your recipe. By the way, I stopped by here from #WhipItUpWednesday Link Up Party. So thank you for sharing. I like to top them with homemade salsa. Very good! Visiting from Inspire Me Monday, these look fantastic. I’ve pinned them with the other 11,000 people! Eggs are something I’m really into for breakfast lately bc I find that they keep me full for longer and I don’t snack as much before lunch. I’m thinking these could be made ahead and reheated in the morning? Stacie, your recipe looks amazing – thanks for sharing it with us at Inspire Me Monday at Create With Joy! Congratulations – you are one of our Featured Guests at this week’s party (149)! 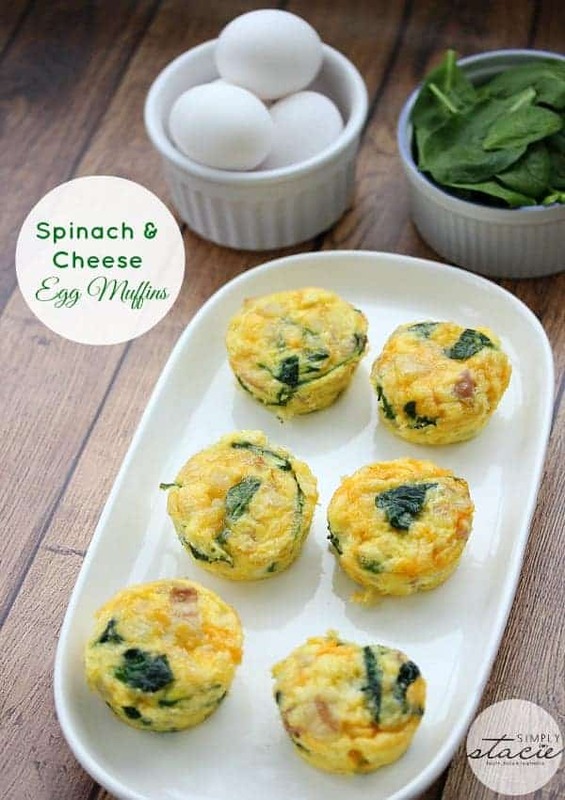 Totally craving these right about now….such a simple and satisfying breakfast OR lunch! These sound great. Thank you for sharing this recipe. 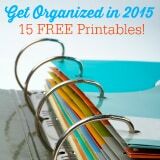 Those look exceptional and easy. You don’t have the extra fat from a pie shell. These look super yummy. I’m not a fan of spinach but perhaps I could substitute broccoli for the spinach. I have many “meals in muffin cups” recipes that are easy to make, simple to keep; use ingredients generally on hand and can be eaten straight out of the fridge if need be. I just need to remember how many eggs are in each muffin. These look so good! I would love to have them for breakfast!!! These look delicious and easy, so I give them 5 stars even though I haven’t tried them yet. My only problem is that the nutritional information isn’t listed. I know that I can load each step into another app, but it would be soooo much easier if you would list calories, carbs, etc. with the recipe. 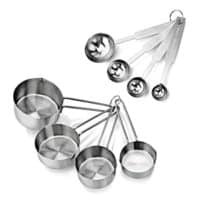 Also, how many servings the recipe makes, how full to make them (i.e., full cups 1/2, 3/4?? ), and what is one serving? 1, 2 or what? Sorry to be persnickety, but I’m a newly diagnosed diabetic and that information is important. What a great idea. I’ve never made anything like this. These look so good! I might have to try this out! This is so good and fresh! I’m not a spinach fan but, this absolutely!!! Will make again! Made these tonight and they’re really good! I added a bit of seasoning to bring up the flavours for me a bit more. Does it freeze well? I’m wondering if it would be a good item for meal prep for the week. I’m glad you liked them! Yes, you can freeze them too. Thanks for sharing i love surprising the family with something new on Sundays mornings when we all eat together. 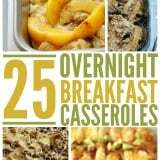 I’m having trouble finding serving sizes on most of the recipes. How many servings does this make? These sound great by the way! They should be found on the recipe card right above the title. Although some of my older recipes may be missing it as I work to update them. 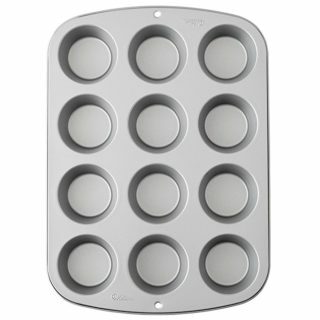 This one makes 12 egg muffins. 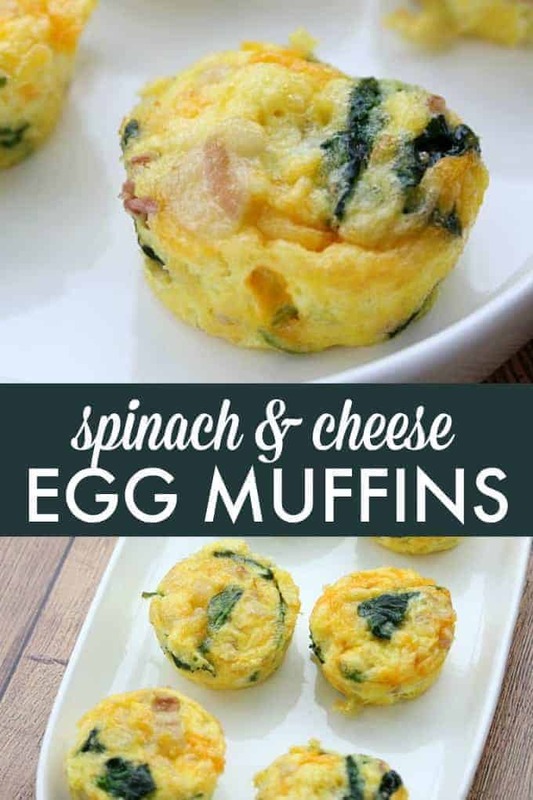 I made these this morning with ham, cheese , spinach and mushrooms. My husband and I really liked them . We half the recipe and wished we would have made the whole one. Thanks for sharing. Will make again!